A Card on File setting has been added to the Add/Edit Catalog screen. When this setting is checked, any Credit Card transaction for the catalog will not prompt the user for a card number during order release. 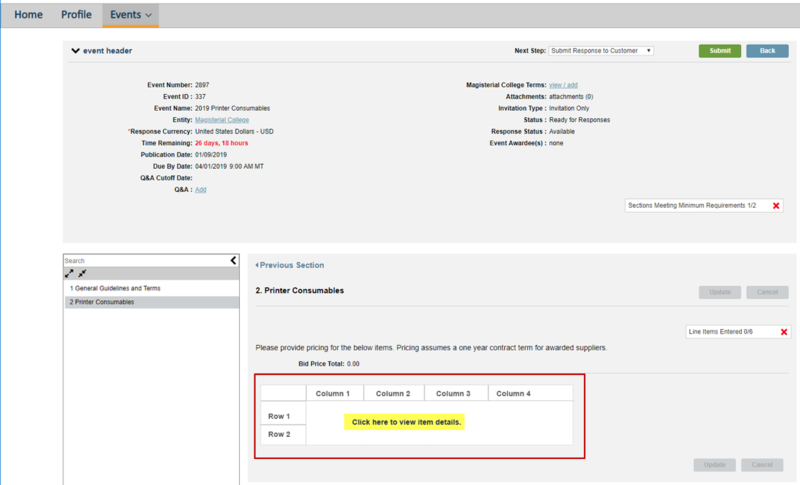 This setting is designed for scenarios where the supplier has the credit card information on file, so the supplier does not need to contact the end user for credit card details. An Auxiliary Field search has been added to the search bar in the Receive tab. If Auxiliary Fields are enabled in Receive Page Configuration, this field will search Auxiliary Fields 1, 2, and 3. The search behaves like the Transaction and PO # searches in that partial searches are not currently supported. An Assigned Commodities field has been added to the Manage tab, beneath the Terms and Conditions. This field allows you to associate one or more NIGP (National Institute of Government Purchasing) codes with the event. 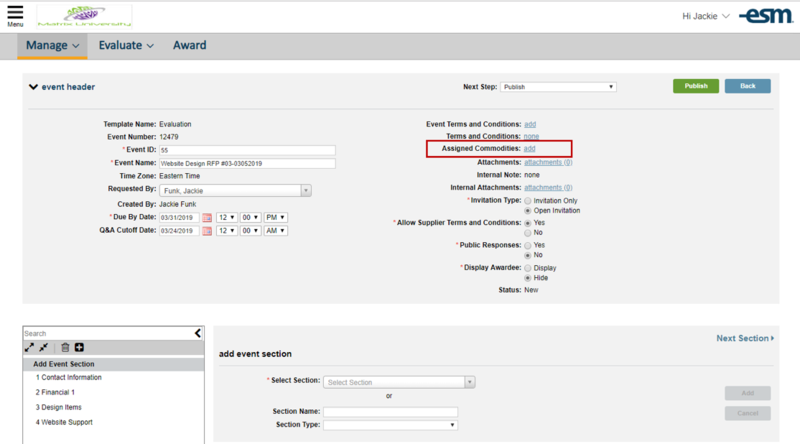 For an Invitation Only event, any suppliers who have the commodities assigned to the event will show by default in the Unassigned Suppliers section when selecting the Publish option. For Open Invitation events, only suppliers who have the commodities assigned to the event will be notified and have subsequent access to the event. If no commodities are assigned and the Invitation Type is Open Invitation, all registered suppliers will have access to the event, and those suppliers with notifications enabled will be notified. Suppliers who edit assigned commodities in their profiles will see eligible open invitation events that are in progress. When a user accesses a line item bid section for an active event in the Award tab, or as a supplier, an icon will display to prompt the user to view the details. Clicking the icon will open the full screen view. This change was made to improve handling for the Award and No Bid checkbox columns. Copyright © 2019 ESM Solutions, All rights reserved.